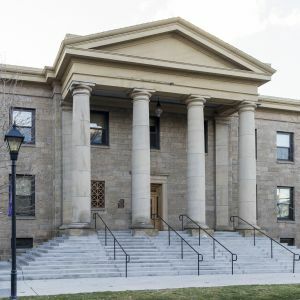 Photos of the Carson City Courthouse in Carson City, Nevada. Carson City merged with Ormsby County in 1969, and the county government dissolved after the merger. 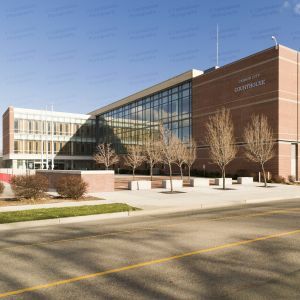 Designed by Daniel, Mann, Johnson And Mendenhall and completed in 1999, the glass and brick Carson City Courthouse is part of the Carson City Public Safety Complex. All photos in this collection © Capitolshots Photography/TwoFiftyFour Photos, LLC, ALL RIGHTS RESERVED. Please contact Capitolshots Photography at info@capitolshots.com if interested in licensing any of the images in this collection. Photos of the former Clark County Courthouse in Las Vegas, Nevada. 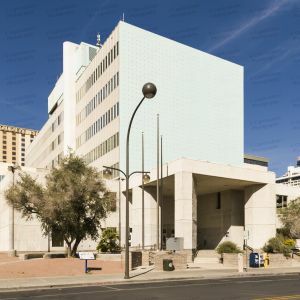 Designed by Zick And Sharp and built in 1959, the Las Vegas courthouse was replaced by a newer Clark County Courthouse which opened a couple of blocks to the south in 2005. The building stands stripped of any ornamentation. All photos in this collection © Capitolshots Photography/TwoFiftyFour Photos, LLC, ALL RIGHTS RESERVED. Please contact Capitolshots Photography at info@capitolshots.com if interested in licensing any of the images in this collection. Photos of the Clark County Regional Justice Center, which serves as the Clark County courthouse, in Las Vegas, Nevada. Design by Tate Snyder Kimsey Architects, the Las Vegas courthouse was completed in 2005. All photos in this collection © Capitolshots Photography/TwoFiftyFour Photos, LLC, ALL RIGHTS RESERVED. Please contact Capitolshots Photography at info@capitolshots.com if interested in licensing any of the images in this collection. Photos of the historic Douglas County Courthouse in Minden, Nevada. Designed by Frederick J. DeLongchamps, the Minden courthouse opened in 1916. The historic Douglas County Courthouse, a Classical Revival structure, is listed on the National Register of Historic Places. The building now houses administrative offices for the county. All photos in this collection © Capitolshots Photography/TwoFiftyFour Photos, LLC, ALL RIGHTS RESERVED. Please contact Capitolshots Photography at info@capitolshots.com if interested in licensing any of the images in this collection. Photos of the historic Ormsby County Courthouse in Carson City Nevada. Ormsby County no longer exists, as the county dissolved after merging with the independent city of Carson City in 1969. 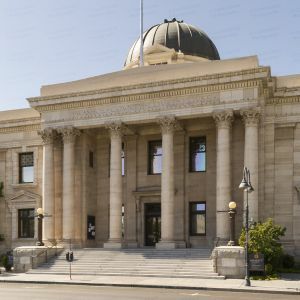 The Classical Revival Carson City courthouse was designed by Frederick J. DeLongchamps. Completed in 1922, the historic Ormsby County Courthouse is now used by the Nevada state government and is listed on the National Register of Historic Places. All photos in this collection © Capitolshots Photography/TwoFiftyFour Photos, LLC, ALL RIGHTS RESERVED. Please contact Capitolshots Photography at info@capitolshots.com if interested in licensing any of the images in this collection. Photos of the Washoe County Courthouse in Reno, Nevada. Designed by Frederick J. DeLongchamps, the Reno courthouse was completed in 1909. 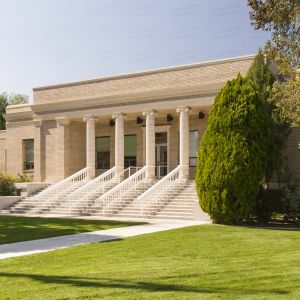 The Washoe County Courthouse, a Classical Revival structure, is listed on the National Register of Historic Places. The building now primarily serves at the ceremonial entrance, with a larger and more modern extension standing behind. All photos in this collection © Capitolshots Photography/TwoFiftyFour Photos, LLC, ALL RIGHTS RESERVED. Please contact Capitolshots Photography at info@capitolshots.com if interested in licensing any of the images in this collection. 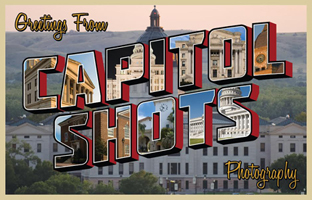 Royalty-free licenses are available for all of Capitolshots Photography’s photos of Nevada courthouses (without the watermarks, of course). You may email us if you are interested in licensing any image, which are available at several sizes, from 72-dpi web-quality JPGs all the way up to TIF files. You may also visit our ordering page for additional information. Looking for prints of Nevada county courthouses? Our images work great for decorative art, presentations, office decor and gifts. All sizes available (without the watermarks). You may email us if you are interested in purchasing a print. You may also visit our ordering page for additional information. 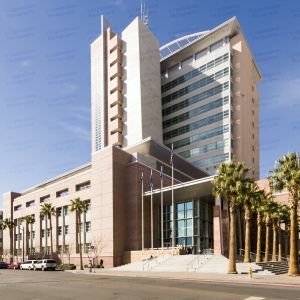 Click on any of the galleries of Nevada courthouses above to view the images for each courthouse. The file name, which you will need to place your order, will be at the beginning of the caption underneath each image after enlargement.